Olivia Raines is trying to make her ranch a commercial success, but the odds—and the town mayor—are against her. Her elderly neighbor is in poor health, so she turns to his grandson for help, determined to use everything at her disposal, risking even her heart, to get the security she needs. With his grandfather’s medical bills piling up, Creek Bend’s mayor demanding their water rights and Big Oil offering cash on the barrelhead, Cody O’Neal admits that the sale of the Double O seems inevitable. 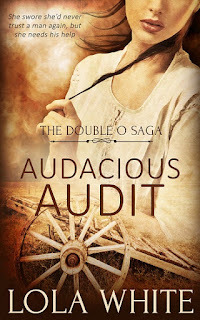 He has to decide which is worth more—riches, after generations of struggling for prosperity, or love, the only thing the O’Neals have ever gotten right. I haven't read any of the other stories in this series, but I didn't feel like I missed anything. In fact, I didn't even realize it was part of a series until I sat down to write this review, so it is definitely a standalone. The chemistry between the main characters is very fear and adrenaline fueled. There are two ranches, a town, and a water source that are on the line, not to mention many people's livelihoods. There are also a few times when they find themselves so overwhelmed with what is going on around them, that they turn to sexual situations to help relieve the tension. I have to say that I didn't care much for either of the characters at first, because I simply didn't like the way they were going about things. One hasn't been there for his grandfather in a great time of need because his life was just more important. Then there is the woman who will pretty much do anything to keep from losing everything she's worked so hard for. But as we watch the couple get to know each other and the feelings they have, I did start to feel for their individual situations. I will say that I didn't care for the very ending because I didn't feel like they'd really gotten to that point in their relationship, but other than that, it was a decent story. 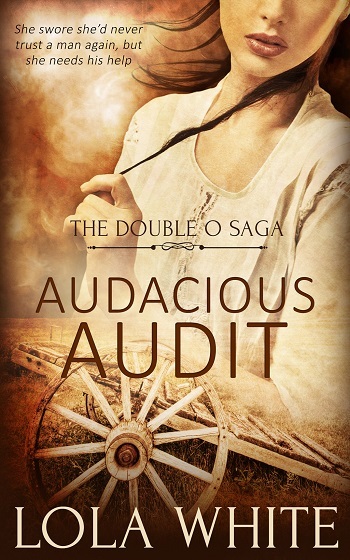 Reviewers on the Wicked Reads Review Team were provided a free copy of Salacious Sale (The Double O Saga #3) by Lola White to read and review.